If you’re anything like me you would have researched moving to Australia until you knew almost everything before you even set foot on Aussie soil. 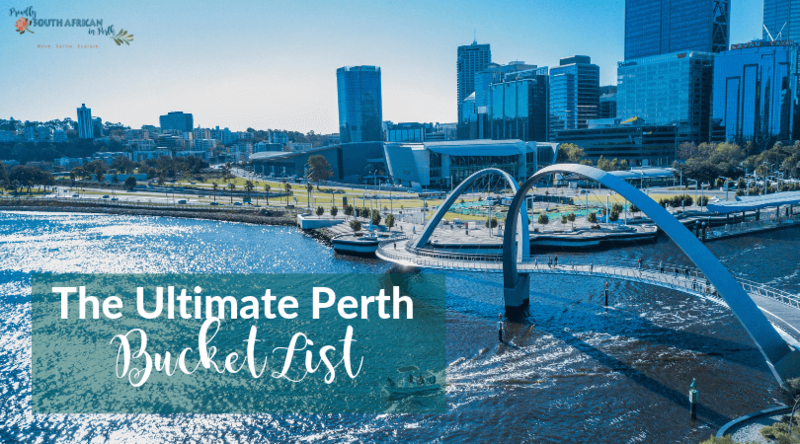 I loved googling everything about Perth, where things were, what to do, where to visit, what it would cost and how to get around. We had a list as long as our arms of all the things we wanted to do and places we wanted to visit, and although we still haven’t managed to tick everything off, we’ve not done too badly overall. One of my favourite memories from my childhood in Durban was heading to the drive-in. We’d pack the snacks, or buy some treats from the shop at the drive-in, and settle in for a movie (or 2 if I was allowed to stay awake!). Did you know that we have a drive-in right here in Perth? 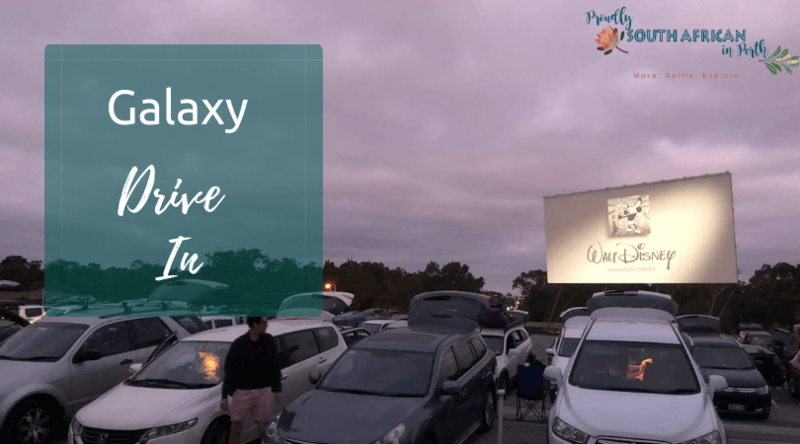 I was so excited to find out there was one here, the Galaxy Drive-In in Perth, and it was one of the first things we did when we arrived. My husband is English and going to the drive-in was not something he had ever done. Hardly surprising given their atrocious weather for most of the year! Earlier this year I noticed that one of our favourite restaurants in Perth, Basq, has closed down. 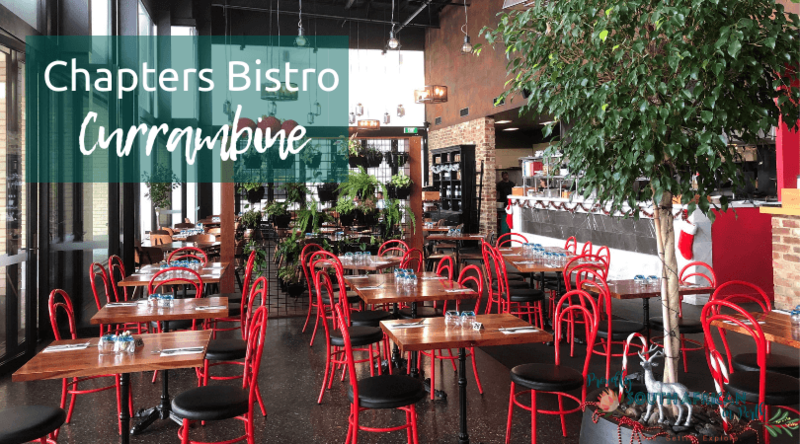 But in September, a new restaurant in the same location was born – Chapters Bistro in Currambine. I started following them on social media and one day I was browsing their menu on their website when something caught my eye – koeksusters on the dessert menu! My eyes nearly popped out of my head; I’d never seen them on a restaurant menu in Perth ever. Not only did they have koeksusters on the menu, but they also had peri-peri chicken and biltong too. There had to be a South African behind this, right? Quickly, I messaged the restaurant and asked if they were South African. The owners were quick to reply that they were from the UK but their head chef, Sherry Phillip, was from South Africa. After an email chat, I was invited to try out their new summer menu and spread to word to other South Africans in Perth. 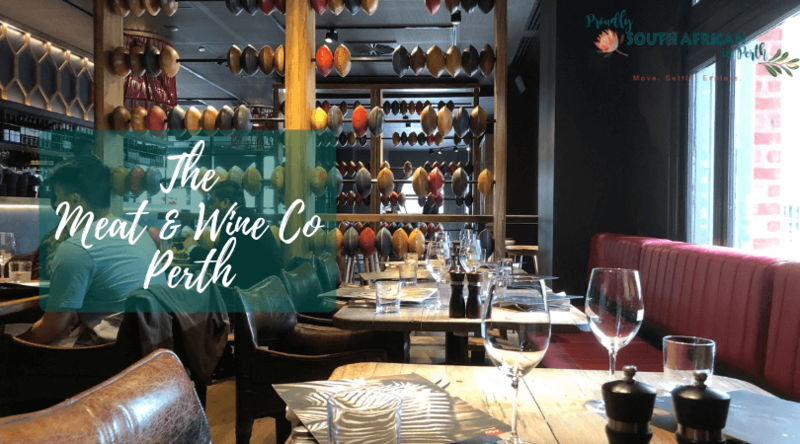 If you’re a follower of the restaurant scene here in Perth you may have heard that The Meat & Wine Co recently opened in Perth. This African-style steakhouse is South African owned and inspired, so I was invited along to check it out and spread the word with you all. We’re so spoilt as South Africans in Perth. 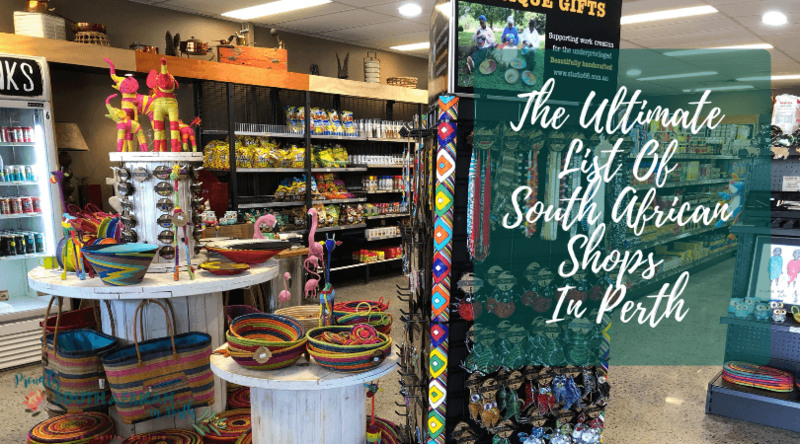 Not only do we get to live in this beautiful state with stunning scenery, sandy white beaches, and heaps to do, but we’ve got a ridiculous amount of South African shops too! Even though many supermarkets have a small South African foods section, there’s probably a South African shop closer than you think. It’s always good to support your local South African shops. The prices aren’t usually much different to the supermarkets, and these are someone’s livelihood, so you’re supporting the local economy and helping put food on someone else’s table when you choose to shop at one of the many South African shops in Perth.